Shortly after the release I was contacted by Phil Randal who had done just this, he has taken the vCheck framework and written some Exchange 2010 plugins, this now turns the vCheck report into a Exchange monitoring report too. Awesome stuff ! Now you can have a daily email with your Exchange 2010 details and issues. An example of the Exchange 2010 report can be viewed by clicking here. To download this version of vCheck you can download it here which includes the base script and all exchange plugins. All Exchange Plugins are accessible via the Exchange 2010 plugins page located here. We get a boat load of RPC errors when trying to run it. Will investigate, but if someone else has run into it, please advise. Hi there. I specify the mailbox server, not the vcenter. Ok. The sript finishes showing the plugin status: (yes for all). That’s all i see. No exchange related status (db, mailboxes, etc). What im doing wrong? I installed latest PowerCLI and Exchange 2010 Management Tool pack two days ago and I am now having problems with the DAG Plugin. I have the problem with the Status and sort parameter for Get-DatabaseAvailabilityGroup. If I just take away the -Status parameter including sort inside the DAG ps1 file it works. And if I am running the Get-DatabaseAvailabilityGroup -Status | Sort Server in Exchange Managementshell it is working but not in normal powershell. Can someone help me. I am a newbie in all theese scripting things. I’m getting this when running the script…. Sending data to a remote command failed with the following error message: Deserialized objects exceed the memory quota. The “server to connect” to bit is in vCheck’s GlobalVariables.ps1. It requires the Exchange Management Shell on the box it is being run on. All my testing’s been done on a Windows 2008 R2 server which has the EMC installed on it. 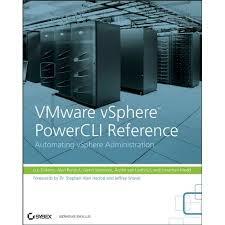 I have a question related to VMware View, is there any project on implementing the view in this amazing work ? 1) At the start, it asks for a server to connect to. With the vSphere vCheck this is obvious. With the Exchange one, I’m not clear on what server to point it at. 2) I assume this needs the Exchange Management Shell or PowerShell components installed on the workstation or should be run on the server? I don’t have any non-DAG databases to test or develop with, alas. Not sure why the DB status is failing, but it should be simple enough to debug. ok…while trying to figure out what could be happening I completely resetup the scheduled task, enabled logging in the script to event log and its now working. I’ve been having a hell of a time getting this to run in a scheduled task on Windows 2008 R2. I logged in as scheduled task user, ran through the script the first time, validated that it emailed the report and then I setup the scheduled task with highest privleges, run if someone is logged in or not and when the task runs automatically it sits there in a running state. Is there any way to have this log what is happening as I never get any output with this. I am in the same situation. Did you ever get this to run? 1) It doesn’t report the database status “Exchange 2010 DB Status”- report area has no rows. I have 15 DAG databases, 3 Public Folders and 1 non-DAG database. The DAG and public folder statistics report normally. 2) Can the scheduled report be saved to a directory plus email? No idea at all what’s going on there. Does it work if you run vCheck from a Powershell prompt and not via PowerGUI? Get-DatabaseAvailabilityGroup : The type initializer for ‘Microsoft.Exchange.Cluster.Replay. This appears to be a data type initialization error, which I have not been able to pinpoint. Any thoughts? Get-DatabaseAvailabilityGroup : The type initializer for ‘Microsoft.Exchange.Cluster.Replay.DiagCore’ threw an exception. I have the plug-ins stored on a mapped network share. Any ideas? Fixed some obvious mistakes… oops! I’ve added a few more plugins – check the readme before running. So remote reg works.. tried to connect from the server running the script to several exchagne servers with no problems. Also verified that the key does exist as well. This is not that big of a deal..
Hi Steve, I’m guessing your servers don’t have remote registry access enabled, or the rollup key doesn’t exist on the boxes. You can read the source code to find the key used and regedit on one of the boxes to see if that key exists on the server. And try attaching to remote server using regedit. First – Thanks for such great scripts. Any help on the above? Morning reports are what motivated me to write these plugins in the first place. Fixed in the version to be released later today. Hey guys, fantastic plugin. I have a suggestion, can you add a section that views the databases preference order and if the database is not mounted on its first activation preference server then to flag that up in the report? This way you can view if any databases have been mounted overnight to another server ,although your monitoring software should alert on this but still great to get it into a morning report. eg. db01 in my dag preference is for EX0201 with copies on 202(pref order 2),203(pref order 3). If it was mounted on 202 then the report would say that the database db01 is not mounted on the correct server. but other then that looks like a fantastic plugin for a morning report 😀 , good work. Ah, thanks, fixed in my copy. Which Plugin is that, BVGorp? One last beta, and we’re good to go. In the size reports not broken down at the database level, we now list the server name. Any bug fixes, enhancements, or complaints welcome. Well spotted! Fixed in what will hopefully be the final version, along with some more code tidy up. The large mailbox / large dumpster reports now list bioth mailbox and dumpster sizes, in identical report layouts. The plugins have been renamed again, so save your existing ones somewhere else before unpacking. Oh, I forgot to mention – the disk space report can now be configured to report on only those drives with <= x% free space. The plugins have been renamed, so save your existing ones somewhere else before unpacking. Not sure how well this will play with unmounted databases on 2007 or 2010, but I’ve tried to make the code more resilient. It tries to address the issues raised so far on here. Works for me on Exchange 2010. Script could be hacked to conditionally report stuff which is only valid for mounted databases. I don’t have any unmounted DBs to hand, alas. DB Status Script is 2010-only, until someone with exchange 2007 comes up with the equivalent for that environment. Made the changes, however, if you change the $Database.Created to anything else but that, the statistics dont appear in the report. I have also notices that the 94 Exchange 2010 DB Status does not show up in the report either. Changing the test from $Database.Created to $Database.Mounted should fix that. is not mounted or is not available. Im guessing it can only get statistics off mounted Databases? I am running mine on the actual exchange server itself. $Database.Name is only holding the DB name not the server name. Get-MailboxStatistics : The specified mailbox database “MGT-SRV.domain.local\Mailbox Database 1” does not exist. EX2k7 does not have DAG. That probably the reason it needs a server name to check against. Looks like you’re missing a Header.jpg file in your vCheckExchange directory. and similarly elsewhere in plugin(s) and see if that helps. In a 2010 DAG-based world, the databases are primary, which is why I sorted the way I did, but I do take your point about sort orders. I’ll update it in the weekend. I’ve done all my testing on a management box, not on the actual exchange servers, and not seen your problem. Is your Exchange Management Shell up to date with current exchange SPs and hotfix rollups? 2007 or 2010? And i adjusted the Sort function to sort by Server name first and by DB name second. I changed 97 Exchange 2010 Drive Details.ps1 to 91a Exchange 2010 Drive Details and it seems to have done the trick with putting that information at the top. Exception calling “ToBase64String” with “1” argument(s): “Value cannot be null. Property 'ViewEntireForest' cannot be found on this object; make sure it exists and is settable. I promise to stop pestering you 🙂 hopefully other people with exchange 2007 will benefit from your great work. I run this script not on the exchange server itself but on a management box and i had to change 92 a little on lines 18 19 and 22 change “$Database.Name” in “$Database”. Probably need this change also when having multiple DB servers. Don’t know if its EX2007 related but if the change is not made then it searches the DB on the management box. how is your scheduled task setup for this? I’ve made your suggested changes to both the DB stats and PF Stats plugins. The plugin list is sorted into filename order by vCheck.ps1 before the plugins are run, so that they are always run in a deterministic order. What order do you prefer? Is the plugin numbers the order in which things are displayed in the report? if i wanted to move some things that are at the bottom of the report to the top, do i just give it a lower number? Thank you again, really appreciate what you guys have done. Note, 91a has been renamed for consistency with the other names. I give no Public Folder whitespace info for Exchange 2007; I haven’t figured out how to get it. The Mailbox Database Whitespace estimatimation code for Exchange 2007 is a bit at variance with what Exchange 2010 reports, but is probably the best we can get. On line 15 or so in those scripts, remove “-ErrorAction SilentlyContinue” and see what error, if any, occurs. Database copy status is probably 2010-only. I don’t have any 2007 to test against.. When I run the script there are a lot of errors that come up, im presuming because it is looking for Exchange 2010? the path is correct and try again. You will have to forgive me, I am a bit of a n00b. It should mostly work on Exchange2007. Fixes welcome for the bits which don’t. The DAG Information plugin checks for the exchange 2010 snapin first and will silently do nothing in an Exchange 2007 environment. I’ve added a separate plugin to load the appropriate exchange snapin as the first plugin. I don’t have an Exchange 2007 server to test against, alas. The Exchange 2010 (aka Exchange 14) specific stuff should be easily spotted in the source of the plugins. Checking for either Exchange 2007 or Exchange 2010 in those places will probably work for both Exchange server types. First, LOVE THIS! i’ve written a couple of plugins for what i do in my own job, and once i’m satisifed with them, i’ll email it to you. But i’m having a problem. I’m working on some plugins and one of the things I’ve noticed is that if my code returns objects it’s not getting outputted properly. Will list out the property, but if the object has multiple entries for that it just outputs the property name and a count of the objects inside. Am i doing something wrong? I’m about to adjust my code to create a “new” property for each account name, i’d rather not do that as it feels dirty. Guys, thanks again for providing such great stuff. hate to be cheeky, but is there a way to get this to work with exchange 2007? Thank you so much Alan/Phil combo! You guys are great. This came out awesome, and works really fast as well! What about querying multiple exchange boxes at once? Due to some last minute changes to the script, the output isn’t exactly what you see in the sample above, but that’s cosmetic only. The two size-reporting scripts are controlled by two parameters size, and number to report on.